Coming to OBX? Whether you're looking for a home with an oceanfront view, pet friendly rentals, or a home with an elevator, we’ll help you have the best vacation imaginable on the Outer Banks. New to Twiddy for 2019! 7BR OF w/Private Pool! Summer Weeks! 6BR Semi-Oceanfront w/Pool! Summer Weeks Available! 4x4- 8BR Oceanfront, Pet-Friendly with Pool & Elevator! Corolla Light Resort - 5BR Soundside Home - Pool and Pets! 4BR Pet Friendly Semi-Oceanfront 5/12, 6/2 and 6/9 Available! 6BR Pet Friendly with Pool! July Weeks Available! Experience the Outer Banks with our guides to enjoying your Outer Banks vacation. We developed these to provide a greater understanding of what OBX vacations are all about. From OBX’s 4x4 (Four-Wheel Drive) beaches to the small town charm of Duck’s vacation homes, our expert guides can help you make the most of your trip! So whether you frequently book OBX rentals or are visiting for the first time, we’ve got you covered. First time booking an Outer Banks Vacation Rental? 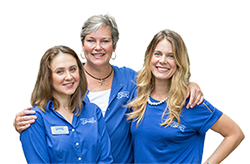 Find your perfect vacation rental in the Outer Banks, call our team (300 years of living in the Outer Banks combined) to help you pick the right rental. Don’t know where to start with your vacation in the OBX but want to start looking yourself? Browse our new and favorite OBX houses to get the ideas flowing!